Posted April 28th, 2016 by Lillian Price & filed under Dentist. Posted April 27th, 2016 by Lillian Price & filed under Dental. Posted April 26th, 2016 by Lillian Price & filed under Dentist. Posted April 26th, 2016 by Lillian Price & filed under Dental Services. Posted April 19th, 2016 by Lillian Price & filed under Dentist. What Is An Orthodontist And What Do They Do? An orthodontist is a dentist that specializes in the alignment of teeth and jaws. 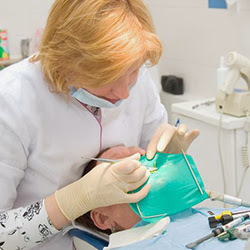 These professionals help patients that have teeth which are misaligned and require correction. An orthodontist in Elmhurst helps patients to have a better smile and improve their self confidence. Posted April 6th, 2016 by Lillian Price & filed under Dentist.